The Qudini team is delighted to reveal that it was able to help one of its newest enterprise retail client to increase its store conversions by 10% after it deployed the company’s booking system. By taking appointments online via their website, the client is now able to drive more footfall into its stores. This increased footfall consists of more engaged qualified customers who have done their research in advance of their appointment, and have come into store with the intention to buy. 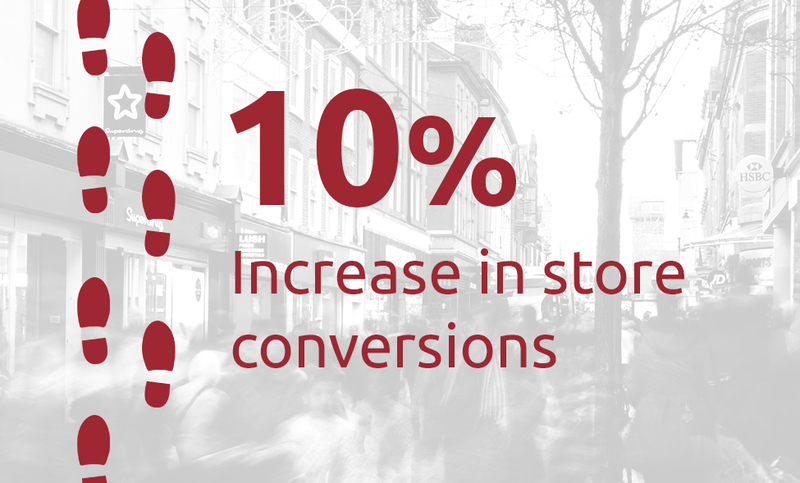 This is a really exciting statistic for the team, as it shows that Qudini helps retailers to better merge their digital and physical retail channels, to drive footfall across them and to increase their conversion rates. The store manager providing us this data even explains how pre-booked retail appointments help him to increase conversion. “When a customer books an appointment online it allows me to put them with the right person as I know what they are coming in discuss. This increases the chance of making the sale.